Print Coupons, brings a wide variety of products that you will find deals for! While most of us are happy to save money whenever the opportunity arises, keeping track of sales and coupons takes work. The right websites and apps can help you stay on top of the process, making it no trouble at all to make couponing part of your savings-savvy lifestyle. Gone are the days of clipping coupons from the newspaper. Digital coupons work differently. Some digital coupons work a lot like old-fashioned coupons in that you print them out and hand them in at the store. 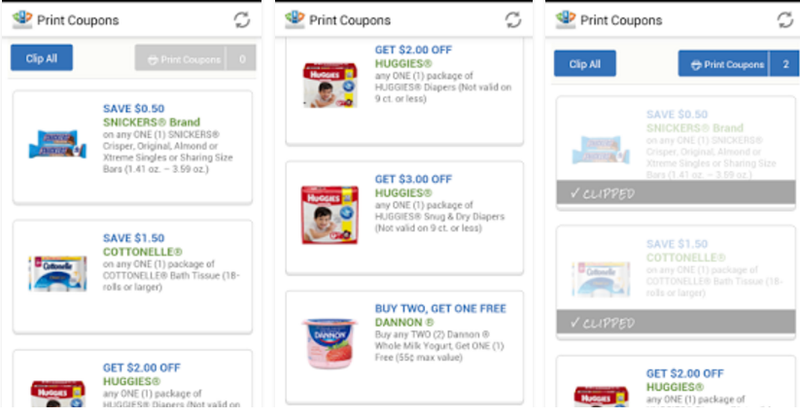 You still need to "clip" and carry them, although being able to find a multitude of coupons on a few digital coupon apps definitely raises the convenience. This time we are also here with an app for the same purpose that is, Print Coupons. Print Coupons is exactly as its name suggests it is an app, which contains a whole ton of coupons. They boast new deals every day that you can claim and it allows you the facility to print them right from your devices. This app is purpose-designed to be a one-stop shop for all your couponing needs. That includes coupons from the some of the big name stores, as well as a variety of grocery store coupons and restaurant coupons. Therefore, if you are looking for one app, which offers a wide range of coupons, then this might be worth checking out. Therefore, it is the time to put away your scissors, stop buying ink and never worry about forgetting your coupons. 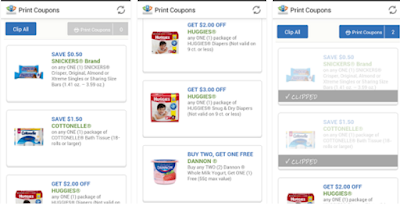 All your grocery savings will be right on your devices with facility to print and clip digitally, Print Coupons is all about making the shopping and saving process easier and more organized for you. Whether you are looking for grocery savings at stores or other shops, this app is the one-stop shop for all your grocery coupons, deals and savings. Download it free for your Android devices and never miss the best deals around. Direct download link to the app is present at the end.